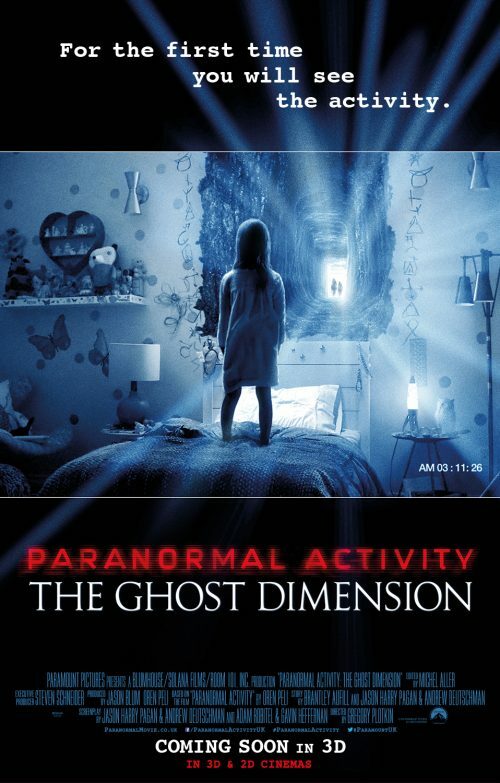 It’s been a while since the trailer for the latest Paranormal Activity hit. This has now all changed with the release of the above poster. What does it tell you that the trailer doesn’t? Nothing actually as we have seen what happens. It should tie up all the lose ends that the previous five films have set us up for. It is also the last one in the franchise. A good number as if a horror franchise carries on it just gets worse and worse. Sometimes it ends up in space and then you defiantly know this has happened to the franchise!